Ships today if you order in the next 10 hours 3 minutes. Lemon balm grows in regions of Southern Europe and has been used for thousands of years as a way of enhancing mental and physical health. 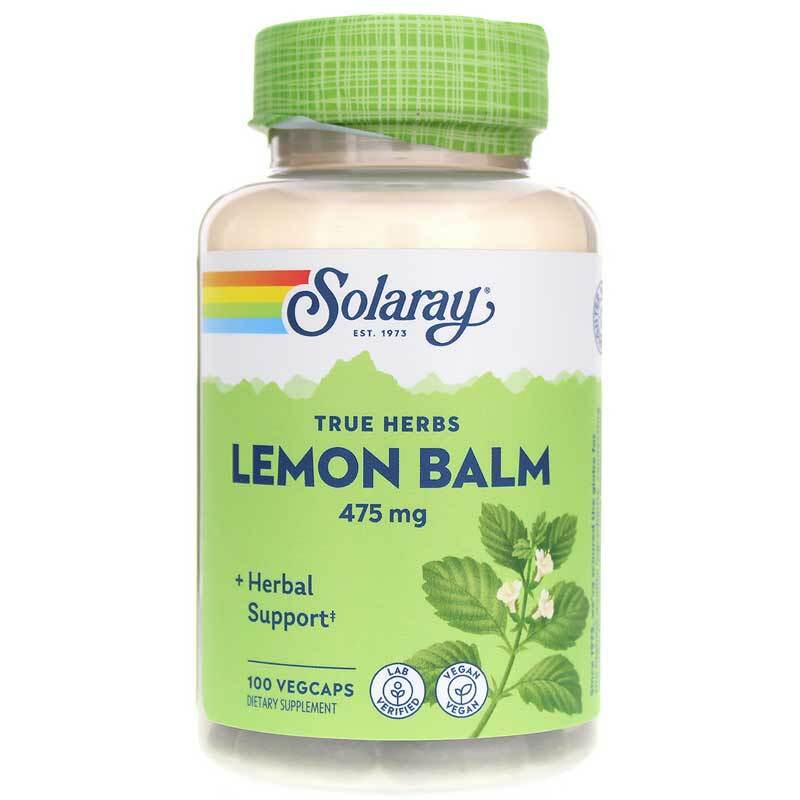 Solaray offers Lemon Balm, a natural dietary supplement that delivers 475 mg of lemon balm in every VegCap to help boost your health and wellness the all-natural way. What might lemon balm do for me? Solaray's Lemon Balm comes in a VegCap form that is easy for adults of all ages to swallow and it's 100% vegan and Non-GMO. Just one VegCap every day may help support better health and optimal calmness. Give it a try today, and stay on the all-natural pathway toward optimal overall health and an increased sense of wellness. Order yours now! Adults: Use only as directed. 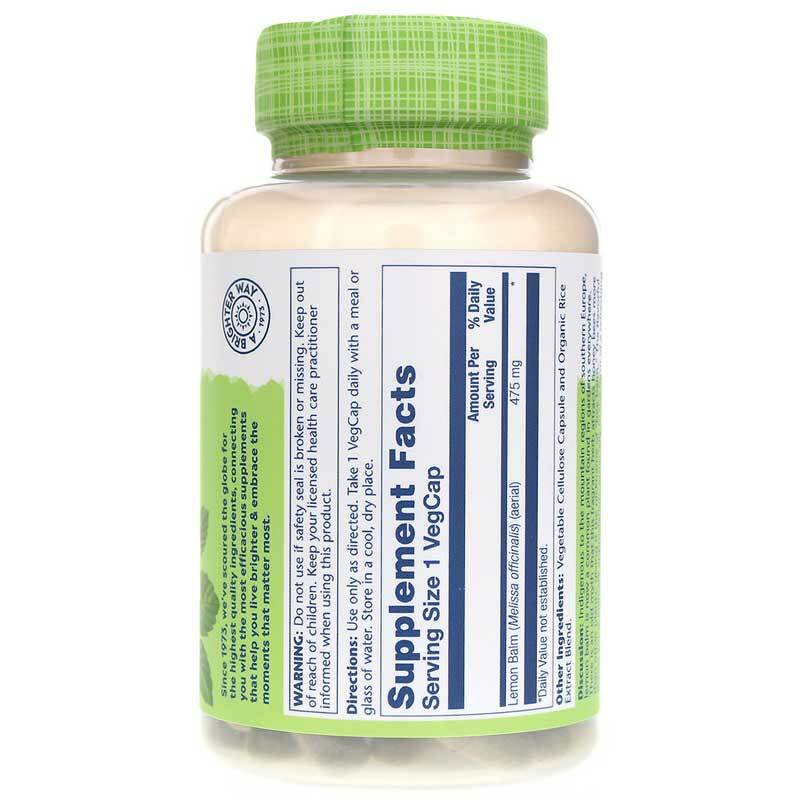 Take 1 VegCap daily with a meal or glass of water or as recommended by a healthcare professional. Do not use if safety seal is broken or missing. Keep out of the reach of children. 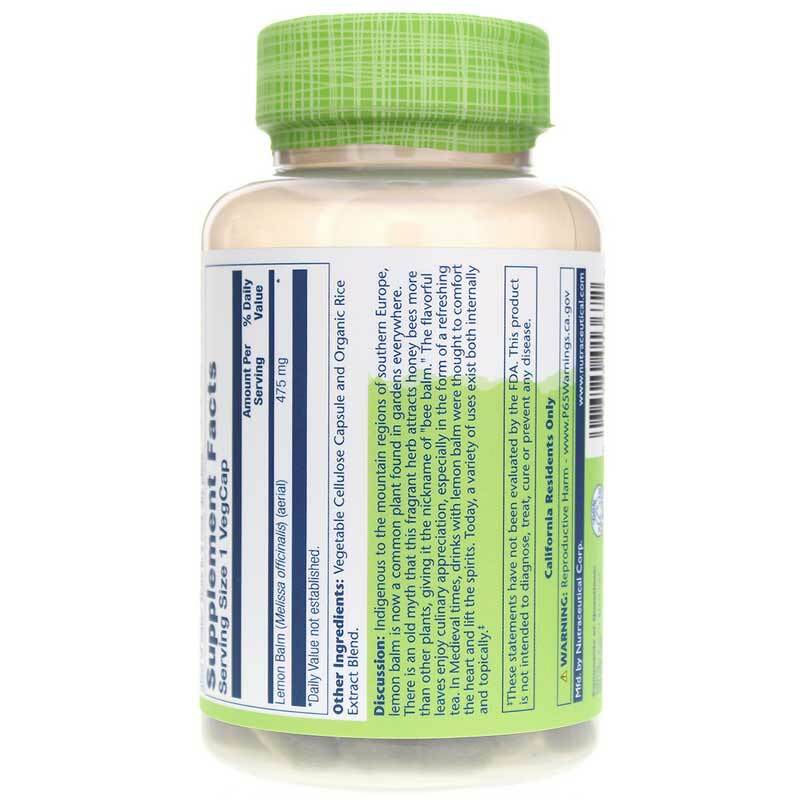 Keep your licensed healthcare practitioner informed when using this product. Lemon balm is great for my occassional stressful days. I take it the morning if I know it's going to be a busy day or when I feel overwhelmed. I've tried both these Solaray capsules and New Chapter's gelcaps, and the Solaray variety works much better. With New Chapter's gelcaps, I have to take more of them. With Solaray's formulation, I feel better and take less.